Hugh Neff from Tok, Alaska, was the first Yukon Quest musher to arrive at the Dawson City checkpoint Tuesday afternoon. Hugh Neff from Tok, Alaska, was the first Yukon Quest musher to arrive at the Dawson City checkpoint Tuesday afternoon at 1:10 p.m. local time. By arriving first at Dawson City, the race’s halfway point, he wins four ounces of gold if he reaches the finish line in Fairbanks. 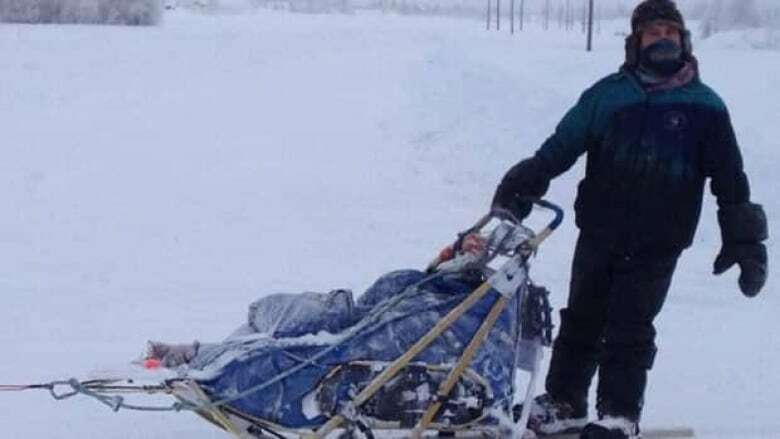 Mushers will spend a mandatory 36-hour layover in Dawson City. Allen Moore arrived two hours after Neff. Moore was first into Dawson City in last year’s race. The top Yukoner in the race right now is Susie Rogan of Whitehorse in sixth position. Most of the Yukon teams have gone through the Stepping Stone hospitality stop. Only one musher has scratched so far. Ed Abrahamson of Fairbanks dropped out Monday in Carmacks.